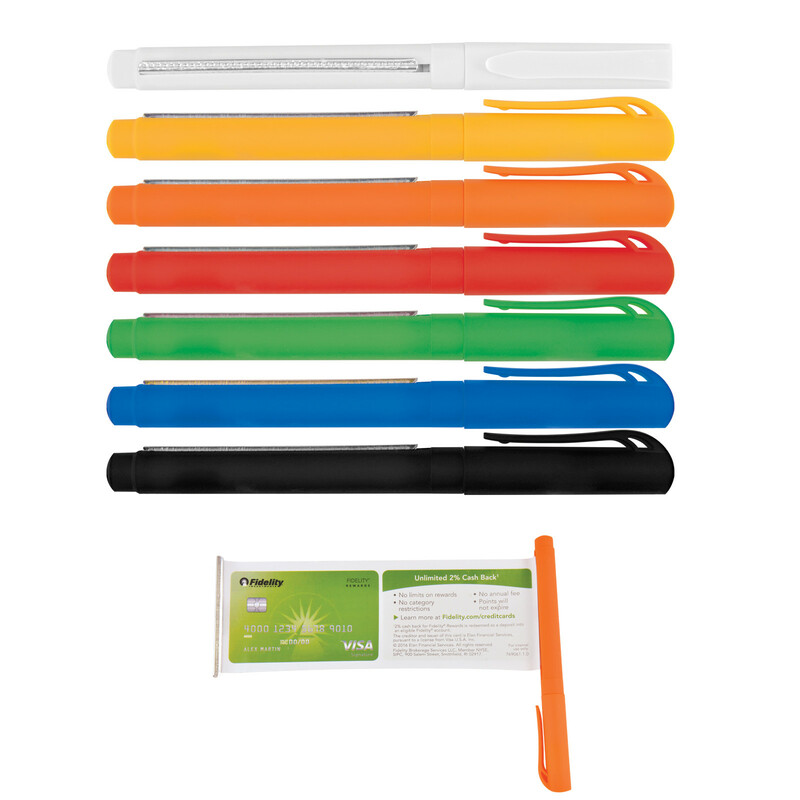 Rubberised pull cap banner pen. Pull out laminated banner printed 4CP 1 or 2 sides. Gel ink refill.